Are you thinking about customizing your slider navigation to make it stylish? Sometimes you may need to edit the normal image slider and add custom buttons for the next and previous slides. In this tutorial, we will share how to create a WordPress slider with text navigation. Since WordPress doesn’t have any default option to create image sliders, you need to use a plugin. 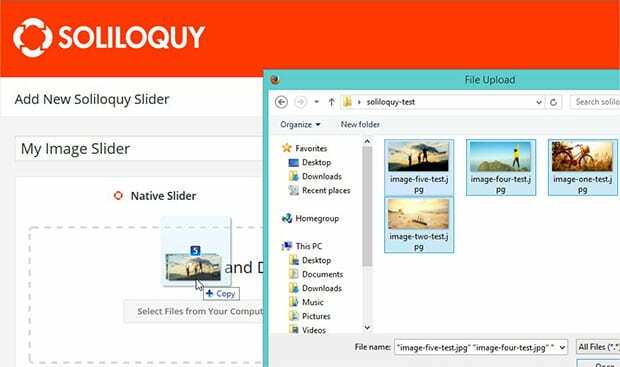 We recommend you to use Soliloquy, a well-known and widely used image slider plugin with tons of amazing features. Looking for the installation process? 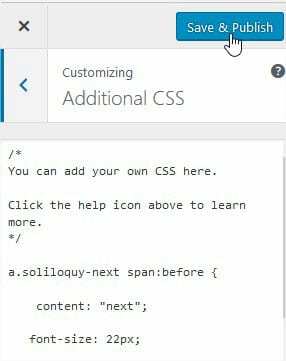 Check out this simple guide on how to install Soliloquy plugin. 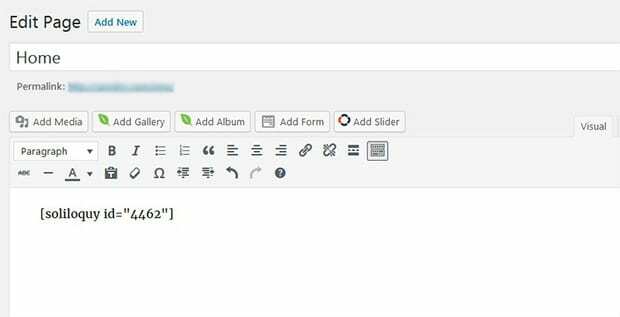 Upon activating the plugin, you should go to Soliloquy » Add New from your WordPress admin to add a new image slider. Simply add the tile and drop your photos in the Native Slider section. Once you are done with all the settings, go ahead and click on the Publish button. 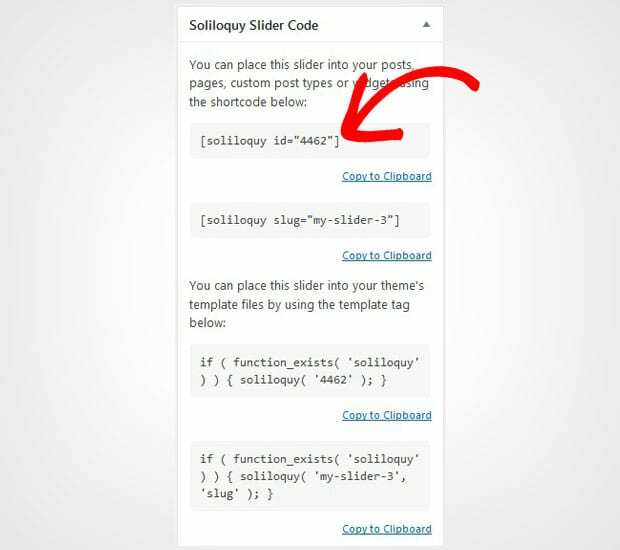 It will show you a shortcode in the Soliloquy Slider Code widget that you need to copy from here. Now go to Pages/Posts » Add New or edit an existing page/post. In the visual editor, paste the shortcode that you copied. Make sure to hit the Update button and it will display the image slider on your page/post. Next we will share how you can add the text navigation. You need to add a custom CSS code snippet for your slider. Simply go to Appearance » Customize from your WordPress admin and click on the Addition CSS option. In this code, 4462 represents the Soliloquy slider for which we added text navigation. You need to replace it with your slider code, and the other styling options can also be customized as you need like the next and previous content, font color, and more. To make this CSS code effective, you need to click on the Save and Publish button on the top of this customize panel. That’s all. We hope this tutorial has helped you to learn how to create a WordPress slider with text navigation. 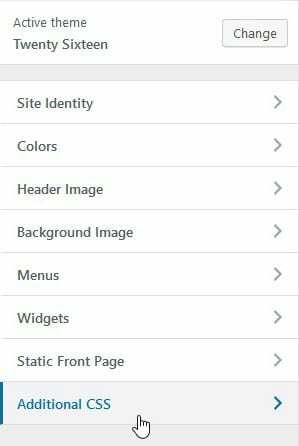 You may also want to check out our guide on how to display image slider control navigation in WordPress. In case, your slider images are loading slow in WordPress, you should check this ultimate guide to boost speed and performance.